It’s the English teacher in me! I love alliteration. The deliberate play with words to create emphasis and draw attention to an area of the text. It also creates sound – in this case MMM, like looking forward to a yummy piece of cake or great cup of coffee. It can provoke an insight into what the author wants to say, MMM the sigh of reflection, contentment, wellbeing. Like the feeling of success at the end of a long teaching day – when it has all gone well. You know those days, when my students behaved, the lesson went well, and the weather was just right! Alliteration is a powerful tool, that can illicit all these emotions, an imaginative form of language use, inventive and creative. Wouldn’t it be great if we had a curriculum tool, powerful, creative, evoking contentment, to use with those high achieving students in our classrooms? 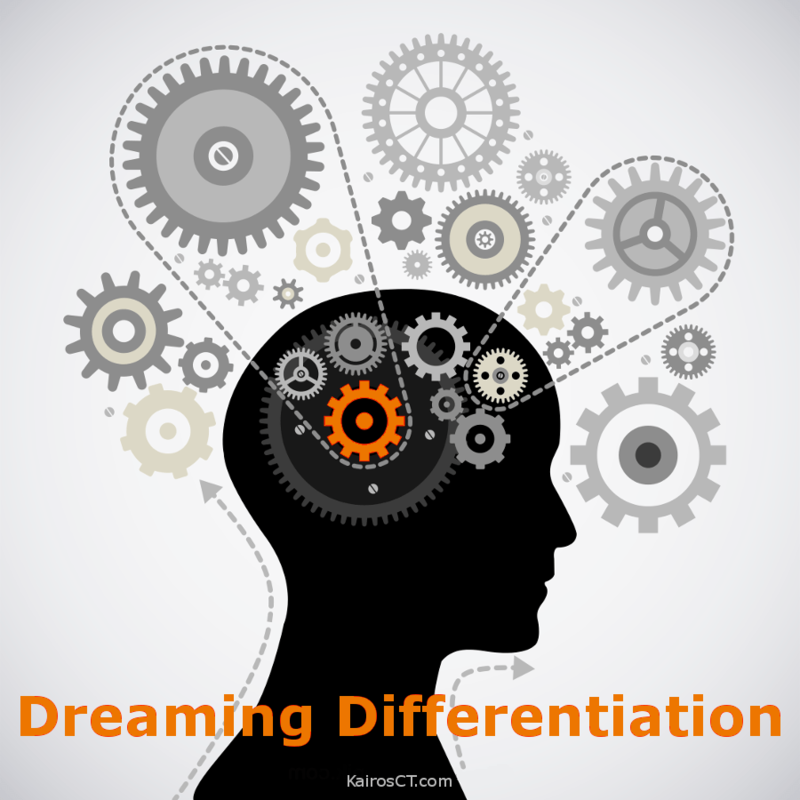 Let me introduce you to Maker’s model of differentiation. Most often associated with gifted and talented students, the Maker Model is about creativity, abstraction, complexity. More than that (like the image below), it is about creating a space for these students to flourish and move beyond the boundaries of normality to dream about what might be! A lack of time to prepare appropriate lessons that require sufficient depth and breadth for these students. The Maker Model, developed by June Maker (1982) can help teachers overcome some of these pressures. It offers a structure to curriculum planning, which supports the learning needs of gifted and talented students in the classroom. By using it for their lesson, program and unit planning, the Maker Model can support both the teacher and the students supporting their wellbeing in the classroom. It helps ensure teachers differentiate appropriately for the needs of these students, but without creating too much extra work. Drawing on the curiosity, creativity and courage of the student, working side-by-side with the teacher, it encourages innovation and risk-taking. What makes this model so powerful? The model is focused on differentiating the four areas of a teacher’s classroom practice. Modifications are made to the Content, Process, Product and Learning Environment. The aim is to facilitate opportunities for gifted and talented students to engage in learning that reflects their potential. The learning content should extend their thinking, encourage risk taking, and build knowledge and skills. The process should focus on developing higher order thinking skills – not to the exclusion of the lower order thinking skills, however. There is always a need for both! The product should focus on the real – real problems, for real audiences, which encourage real deadlines! To see more detail of these modifications – download the free printable now. Download my copy of the FREE Maker Model Modifications printable! By following the suggested modifications, the teacher should be able to differentiate the learning for their students. It will encourage gifted and talented students to reach their full potential. It is not about begin ‘safe’. And to be honest, the student will not ‘burn out’ if identified and stimulated in this way from an early age. Instead it is about encouraging gifted students to break new ground. We need these students to flourish – we have an obligation to them as teachers. But it does not end there! For although June Maker was originally about gifted and talented, her model has been widely adopted to provide teaching and learning for all students in a classroom. Often referred to as the differentiated curriculum model, it can be used with all students – and this is what makes it much less work! It can also be used in combinations with other models to help the teacher consider the specific needs of students. Do you wish to learn more about using Maker’s Model for classroom planning? I have developed a fully ONLINE course which takes you through understanding the Maker’s Model of Curriculum Planning, covering the Model in more depth. The course takes you through how June Maker developed the model, and how it can be used to plan a lesson, unit of study, or how it works with other models. The introductory ONLINE and self-paced course helps you to Plan your Classroom for Inclusion of all your students. In it I tell you all about 3 key curriculum frameworks, and show you how to use them for your planning. The BONUS? When you have completed the course, you can add 5 hours to your professional development log. And if you live in the Australian Capital Territory, you automatically qualify for 5 hours of Accredited Professional Learning. Tell me more about the course – Classroom Planning for Inclusion!